Sierra News Online frequently has articles of interest to local anglers. The article below has some good info for boaters who go to Bass Lake. Sergeant Larry Rich and Deputy Amy Roussell were out on the lake today in the Sheriff’s new 2017 patrol boat, built by Rogue Jet Boatworks. The 300 hp, 23′ boat has a center console — allowing deputies access to entire perimeter while interacting with boaters — along with a self-bailing deck and side-scan sonar for underwater locating ability. The $85,000 boat was paid for in part by boater registration fees, says Sgt. Rich, and replaces one of the two 12-year-old patrol craft currently in use at Bass Lake. 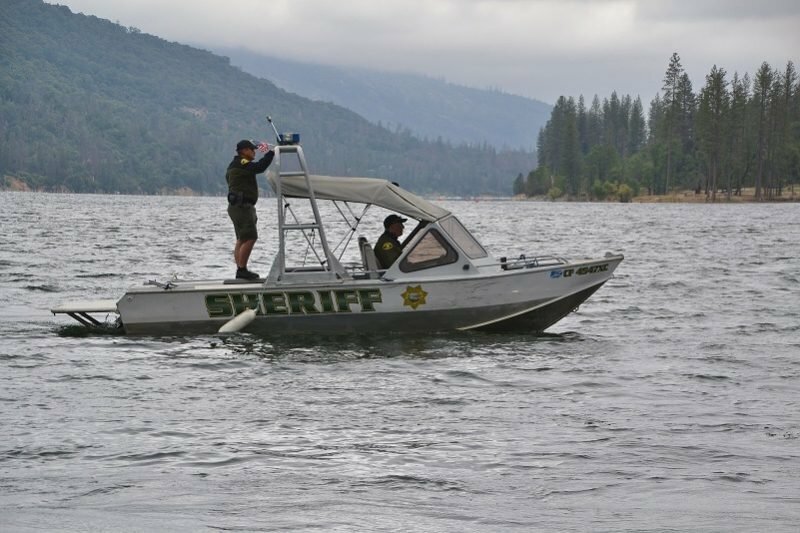 Registration stickers are required year-round for any vessels operated on Bass Lake. Be aware that the Sheriff’s patrol boat may still pull up and inspect your vessel at any time, making sure you have the required life jackets, a throw cushion with 16′ rope, a sounding device and a fire extinguisher on board. Another change is that the Sheriff’s patrol boat will no longer be towing disabled boats. Due to liability issues, Sgt. Rich says the S.O. boats will only tow in the event of an emergency, such a medical crisis or imminent danger. Anyone in need of a tow will need to contact one of the marinas for assistance. And finally, operators of motorized vessels on California waterways will soon be required to obtain a Boater Card through a phased-in process over the next seven years.